Injuries incurred while on the job entitle an employee to seek workers’ compensation to recover certain expenses and benefits. Working with an experienced Maryland workers’ compensation lawyer will ensure you receive the benefits the law affords you. Filing a workers’ compensation claim is not a simple process and requires that the employee show they meet the requirements outlined by the law. Hiring an attorney who is knowledgeable and familiar with the workers’ compensation process is key to protect your rights when you have been hurt on the job. Who is covered under workers’ compensation? Recovering workers’ compensation applies to employees only. It must be shown that an employer-employee relationship exists. The injured person must be a direct employee of the employer’s business. This means if the injured person is an independent contractor and thus not a direct employee of the employer, protection and recovery under workers’ compensation is not applicable. The injury must “arise out of the employment” meaning it must be shown that the harm suffered occurred while the employee performed his duties as outlined by the employer. The focus here is the employee is susceptible to risk or danger by fulfilling their job requirements. The injury must “be in the course of employment” meaning the injury occurred during a time period when the employee was at their designated work location and performing their job duties. The focus here is on the location, time, and circumstances. If these elements are established then a worker’s injury will most likely be covered by workers’ compensation insurance. However, determining whether these factors are satisfied is not always easily determined. 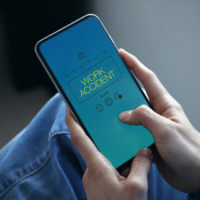 Working with a lawyer to help establish these initial factors is necessary because failing to sufficiently show these elements bars any further action to seek workers’ compensation. Meeting these basic requirements is just the initial step in seeking workers’ compensation when you are hurt on the job. Many workers’ compensation claims are initially denied or improperly filed. Frequently, the workers’ compensation insurance carriers decline to reward injured employees. The insurance companies have no reason to act favorably toward an employee who has a proven injury that took place while at work. Paying out claims means the insurance provider loses money and it is therefore in their best interest to deny even valid claims. Avoid being a victim to the insurance companies by hiring the Law Offices of Steinhardt, Siskind and Lieberman, LLC to represent you. Unlike the insurance companies, our priority is always serving and seeking our clients’ best interests. Contact our skilled Glen Burnie workers’ compensation lawyers who will work relentlessly on your behalf to recover your benefits and payment. Receive an initial consultation free of charge in our main Glen Burnie office or at our satellite offices in Owings Mills, Ellicott City, or Annapolis. In addition, you can rest assured knowing that we will not charge you any attorney fees or legal expenses unless we win your case.